It says to post a picture of your favourite book cover but its been so long since I chosen a book that I don't have one even though usually when I go shopping its a book cover or title that catches my eye but nothing right now stands out. So I decided to show you one my favourite author and illustrator, I think Quentin Blake gets a little over looked sometimes due to Roald Dahl being so popular. I've just started 'Tiny Sunbird, Fly Away by Christie Watson', it seems like a really nice book so far and interesting too as its set in Nigeria Africa. Do you have any idea of what you'll read when you're done with that? No! Not yet as I'm almost a quarter of a way through the one I've started. I keep thinking that I should start one of my classics as I have bought a couple of collections but for some reason end up choosing one of my modern day books. I guess with classics you just need time as they are so long and when I'm tired after work I just want to feel like I've accomplished something by finishing a book and seeing those percentages going down. What five books have you always wanted to read but haven't got around to? To Kill a Mockingbird which at the moment isn't available on my kindle. Famous Five and Secret Seven. You probably can't believe this but we don't have any magazines in our house. They aren't really my thing to buy even though if I came across a true life story one or a craft one I'd never say no to reading it. Our bathroom is so small there is just enough space to walk to the toilet so definitely no chance of having magazines there, I'm not one for reading in the bath or on the toilet either. Oh! That's so easy, 'The Most Wanted Man by John Le Carre'. There was nothing exciting about it, the whole book felt dark and depressing and nothing to pull you in so your always sat on the outside looking in to a comical act of the author trying to fit everything in only leaving it to come across as disjointed. This was the first and only book I will read of Le Carre. What book seems really popular but you actually hated it? Hates such a strong word which has made it really hard for me to think of a book... I would have to say Pride and Prejudice. For me it was such a dull book and the setting only seemed to be between 4 places where nothing all that happened except ideal chatter. I still don't know what I missed with it as everyone always says how great it is... I've of course watched the drama and actually quite enjoyed that. I haven't recommended books to anyone, my friends ask what I'm reading and I mention it but I've never actually mentioned books that they should try. After my own experiences of having books recommended and then not enjoying them as much as I thought I would due to their enthusiasm I don't think I will. Oh! Its been such a long time since I read a poem, when I was in my teens I used to borrow them from the library. Please Mrs Butler by Allen Ahlberg (I loved his Happy Families Range as a child and now have the complete collection). Where do you normally get your books? In the past I used to go to the library or my sister used to lend me them... on the odd occasion I'd buy some from WHSmiths. Now as you know I read on my kindle so can only buy from Amazon. Any where but my absolutely favourite place was my bed where I could read into the early hours of the morning until my eyes couldn't stay open anymore or wake up in the morning and just lay reading. Unfortunately thats a thing of the past now as my husbands in bed for around 8pm. I guess its what I just mentioned of staying in bed and reading. That would have to be the Blue Suitcase by Marianne Wheelaghan as I wanted to know how it ends. That would have to be The Jolly Postman by Alan Ahlberg, I just loved opening all the envelopes even then. It was one of the books I bought my niece when she was born along with The Hungry Caterpillar and We're going on a Bear Hunt. I still want to get her The Gruffolo and Winnie The Witch. The Curious Incident of The Dog in The Night by Mark Haddon. This was a book someone gave to my sister who gave it to me to read and it made me understand children/people who are unique in their own way because they were born with autism, aspergers etc... I'm much more understanding of their needs even though they are not so easy to work with. What was your favourite passage from a book? Unfortunately I don't keep track of passages I like in books, even with my kindle and having the chance to highlight things I forget in my haste to keep reading. No I haven't as all books I ever read in English Literature I really loved. The only book I didn't complete though was Wuthering Heights as the teacher disappeared in college and the person teaching us loved the book so much he just told us what happened. I haven't bought any paperbacks because I liked the cover but I have choosen books in the library because the cover caught my eye first and then I've read the blurb and it sounds good. Often I have been in WHSmiths and books on the shelf have caught my eye so I've come home and looked it up but very rarely I've bought it. 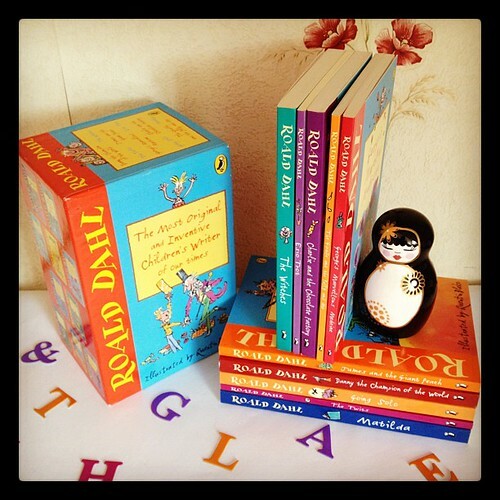 Who are you top five favourite authors? I have tried reading more books of the same author if I enjoyed the first of their books but as you know that hasn't worked out so well as I didn't even the others as much. In my teens I tried to read as many of Danielle Steels books but eventually got tired of them as they felt so repetitive. I've bought the complete collection of Charles Dickens, Bronte Sister and Jane Austen so I'll have to see if I enjoy any of those. The Blue Suitcase or The Weight of Water which are book in my book reviews. What three books are you an 'evangelist' for? I'll tell you the answer to this when I have read much more variety of books. What are you favourite books by a first time author? Thats great Becca, I read other peoples answers too and found the same thing also it showed how varied readers everyone is. I'll tag myself because I like talking about books:P When I find some more time. I will try Wuthering Heights again as I bought the complete set of all the Bronte books for my kindle (along with Wizard of Oz, Charles Dickens and Jane Austin), its just finding the time to read them all but also getting myself to read the collections. I should really make myself read a classic for my next book :). Thats great you'll take part and I'm already looking forward to it wherever you get the chance that is.